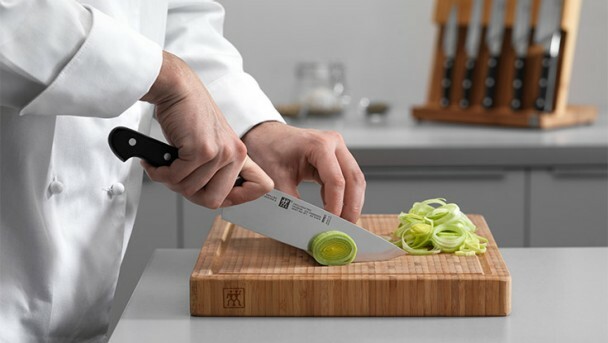 Professional chefs and amateur cooks the world over have come to appreciate the innovative range of knives manufactured by ZWILLING. 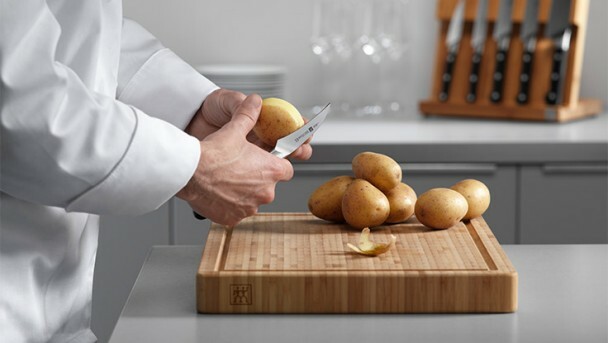 Thanks to our careful choice of source materials, ultra-modern manufacturing techniques and thorough quality control, we manufacture knives that meet the high expectations you have come to expect from our products. 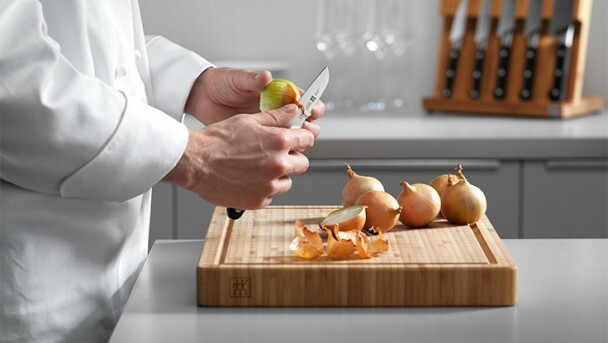 Discover more useful and effective tips on caring for your knives and the right way to use different blades, to ensure that you can enjoy using your ZWILLING knives for many years to come. Our knives are as diverse as the materials they cut! They vary in size, blade shape and cutting edge (facet). These are the details that determine which knife is ideal for which purpose. You can only achieve perfect results with the right knife. Here the most popular types of knives with their key uses. Also known as a paring knife. Peels potatoes, fruit and vegetables. Ideal for cutting out imperfections. The straight cutting edge makes our vegetable knife the perfect implement for cleaning and slicing fruit and vegetables. Also known as an office knife. Perfect for peeling, cutting, cleaning and garnishing fruit and vegetables. Its sharp tip makes it especially good for paring. Cleanly and effortlessly cuts food with a hard crust/shell and soft core. Handy for light meals and cold lunches. This knife's flexible, high tip blade is perfect for loosening bones and removing fat and tendons. 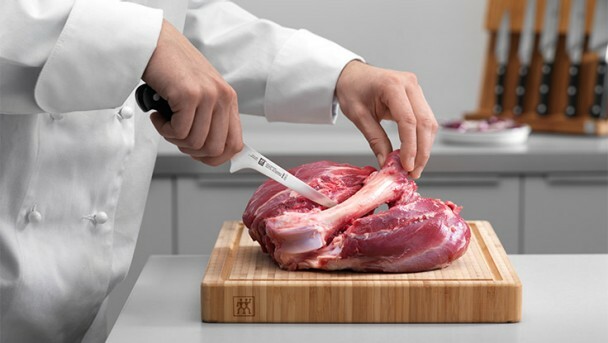 The thin, flexible blade ensures wafer-thin filleting of meat and fish. 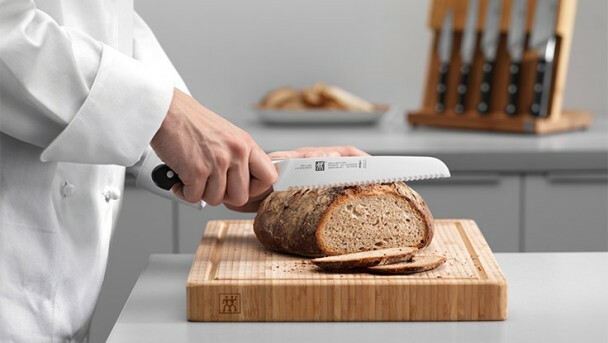 The serrated edge cuts effortlessly through hard bread crusts and slices thinly and cleanly, thanks to its aggressively high prongs. 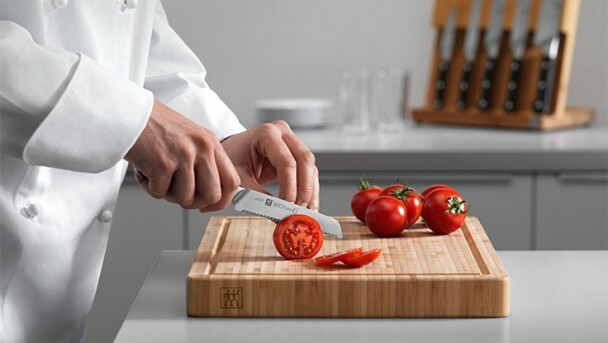 The all-purpose knife for professionals and amateur cooks alike, ideal for dicing vegetables, raw meat and fruit, as well as chopping and cutting herbs. 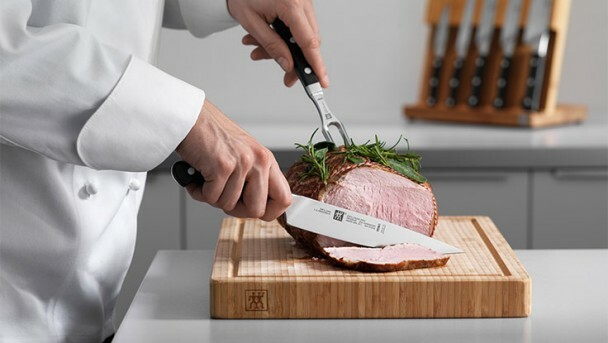 The long slicing knife is perfect for cutting smooth slices from large pieces of meat, like roasts, and portioning raw meat. 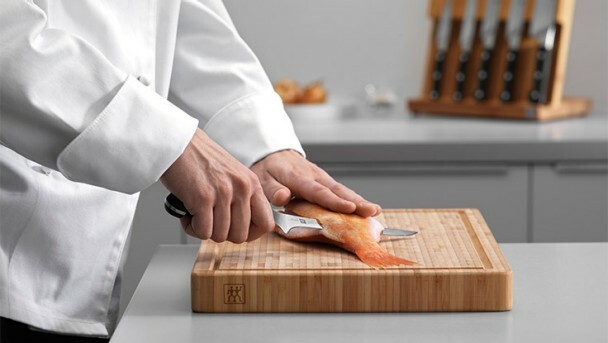 The Santoku knife is the Asian equivalent of the chef's knife – perfect for cutting meat, fish and vegetables. 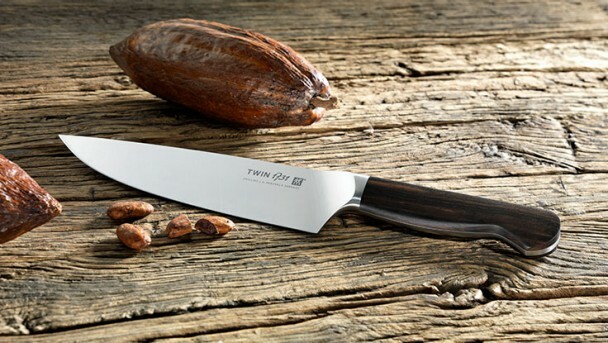 All ZWILLING Santoku knives have an extra wide polished edge (RAZOR EDGE). 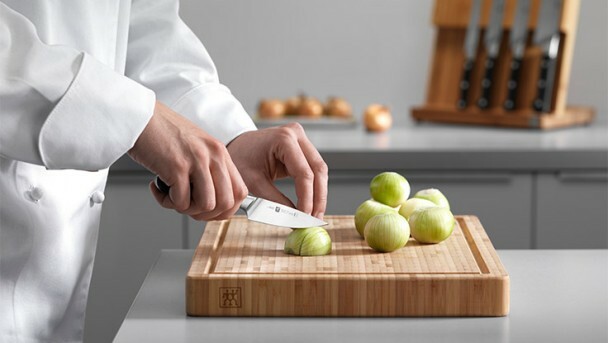 ZWILLING is one of the world's best-known knife brands and has been synonymous with the ultimate in quality cutlery for many centuries. 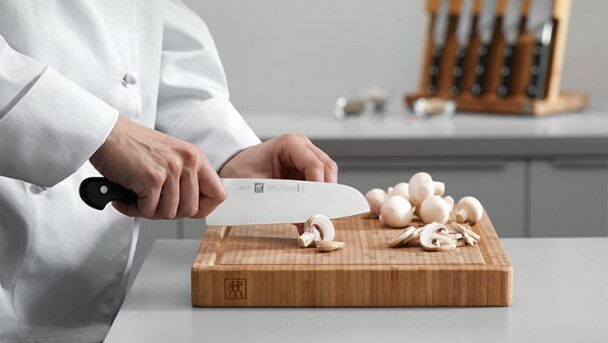 With the right care, you can often keep knives that carry our brand-name for a lifetime. 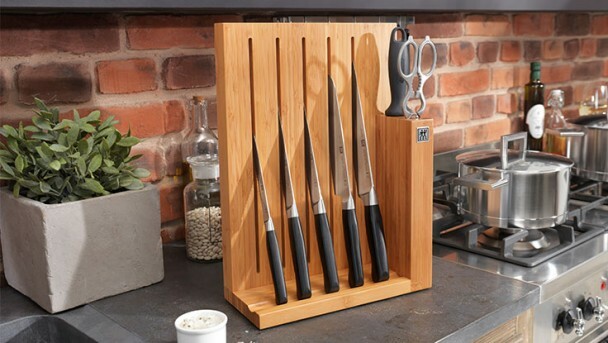 Please note specific information regarding the care of your knives to ensure that you can enjoy using them for many years to come despite intensive use. 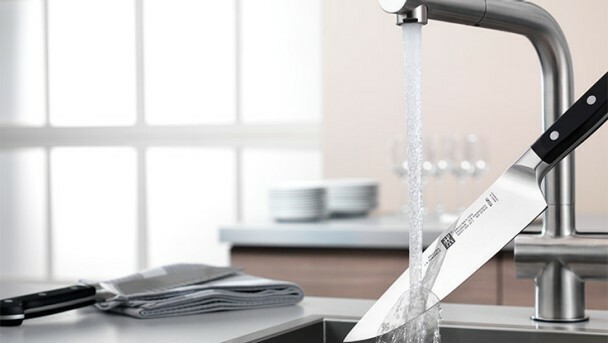 We would recommend washing your knives by hand under lukewarm water with a mild detergent and a non-scratch cloth or sponge to prevent premature wear caused by aggressive detergents. Do not exceed a washing temperature of 55 °C. Always wash these knives by hand. We recommend regularly oiling wooden handles with linseed oil or applying beeswax to prevent the wood from becoming dry and brittle. This will restore protection on the handles and the wood will retain its satin sheen and rich colour.